Cheese, with its impossible-to-resist combination of fat, salt, and creaminess, certainly feels like it could be addictive. It would explain why that second (or third, or fourth) slice of pizza calls to you so loudly, even after you think you’re full. With a growing body of evidence that suggests food can have addictive qualities, it’s worth revisiting the offhand way you (may) say, “Oh my God, I’m, like, seriously addicted to cheese,” after crushing an entire block of extra-sharp cheddar before dinner, and why it matters. Leading the charge against cheese is Dr. Neal Barnard, founder and president of the Physicians Committee for Responsible Medicine. He's the kind of guy who calls cheese “dairy crack.” If that sounds a tad dramatic, consider what happens in your body when you digest cheese, a process Dr. Barnard explains in his book, 21-Day Weight Loss Kickstart, and summarized in an email. It turns out that cheese really is kinda sorta like dairy crack, since your brain reads a component of cheese as an addictive substance. 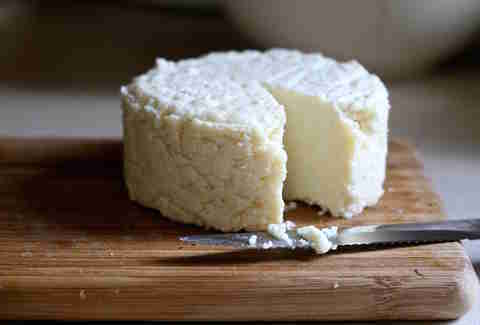 The culprit is casein, a protein in dairy that gets super concentrated during the cheesemaking process. When you eat a hunk of Roquefort or a slice of Brie, your body has to break down the casein contained therein. Cheese: more like morphine than you think! Except it doesn’t break down completely. Casein is no different from other proteins in that it’s essentially a beadlike string of amino acids. But, according to Dr. Barnard, when your digestive system tries to do its thing, "the beads don’t entirely separate. Some of them stay attached in strings of four, five, or seven amino acids." These shorter strings are called casomorphins. In cheese, we get massive concentrations of fat and salt, which our highly evolved brains absolutely love. Woah. 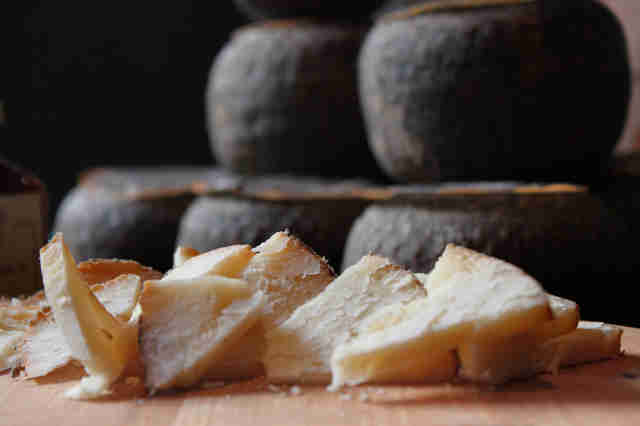 Morphine-like compounds come from cheese. This gives new meaning to the term “food coma.” And since morphine is an opioid, and heroin is an opioid, ipso ergo pseudo, cheese is as bad as heroin. But clearly this is not the case. Lives aren’t completely ruined by excess cheese consumption; nobody sells the sheets off his bed for an ounce of Gruyere. So what’s really going on? 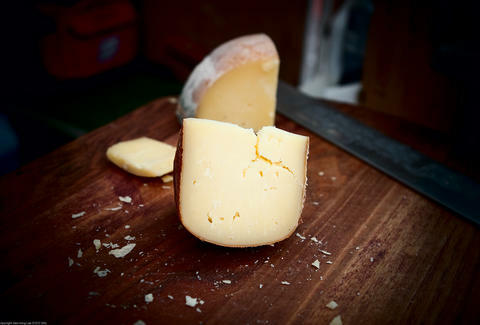 Of course, part of what makes cheese so attractive -- its fat and salt -- is also what sets it apart from real drugs. You don't get any nutrients when you're shooting up or snorting lines. Quite the opposite: Many drugs render nutrition impossible or irrelevant. It’s not your fault if you struggle with excess cheese consumption. So, as is obvious to anyone who's eaten the stuff, cheese isn't actually crack. Which begs the question: why should you care? You should care because, as with any substance (controlled or otherwise), the dose makes the poison. The USDA still recommends dairy as part of the MyPlate program, which replaced the Food Pyramid you grew up with. While it’s not like eating cheese will destroy your life on the order of hard drugs, MyPlate suggests a measly ounce and a half per day of the good stuff. So the fact that cheese has addictive qualities becomes problematic, given those high salt and fat levels; too much of either (or both) can cause health problems down the line. But don’t sweat it if you occasionally binge. 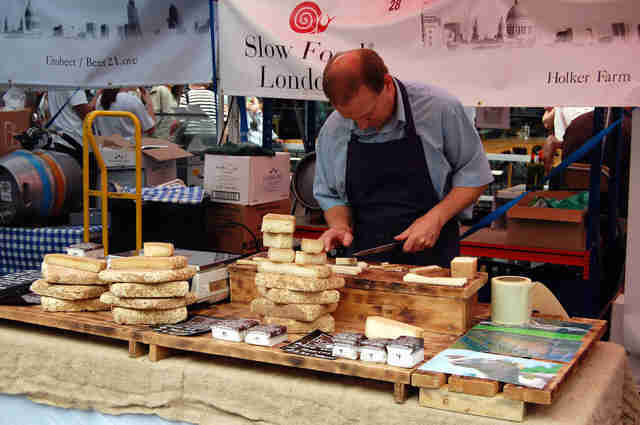 You’re now armed with the knowledge that it’s not your fault if you struggle with excess cheese consumption. You have a sickness. You’re a cheese addict. Anthony Schneck is the health editor at Thrillist and has been cheese free for  day. Follow him: @AnthonySchneck.